4 Bedroom Detached House For Sale in Liverpool for Asking Price £265,000. 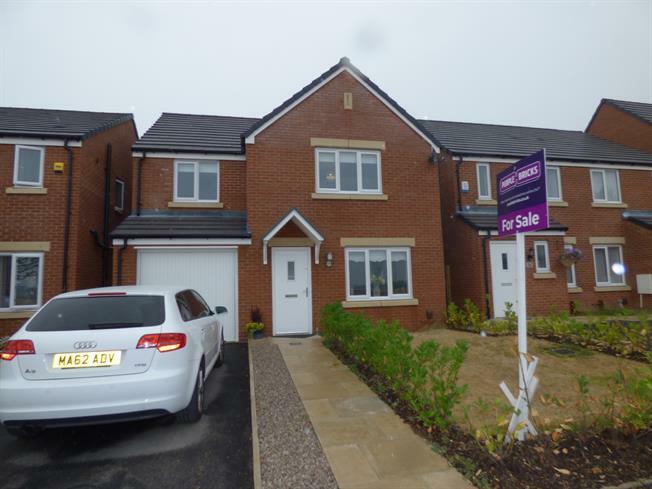 Entwistle Green are delighted to introduce for sale this attractive four bedroom detached family home. The property briefly comprises entrance hall, lounge, kitchen diner, utility room and downstairs WC to the ground floor. To the first floor there are four bedrooms, master with en suite and a family bathroom. The property benefits from gas central heating and double glazing, with off road parking, garage and gardens to the front and rear. Viewing is highly recommended. Staircase leading to the first floor landing. Doors off to various rooms. Radiator. Double glazed window to the front. Double doors leading through to the Kitchen/Diner. Television point. Telephone point. Radiator. Double glazed window to the rear and double glazed French doors leading out to the rear gardens. Range of wall and base units incorporating roll top work surfaces with inset one and half bowl sink and drainer with mixer tap over. Range of built in appliances including dishwasher, fridge, freezer, electric oven and gas hob with stainless steel extractor hood above. Recessed spotlights. Under stairs storage cupboard. Door leading through to the Utility room. Laminate flooring. Radiator. Double glazed door leading out to the side of the property. Further doors leading into the WC and Garage. Space for washing machine. Wall mounted central heating boiler. Recessed spotlights. Extractor fan. Laminate flooring. Radiator. Obscured double glazed window to the rear. Suite comprising wash hand basin and low level WC. Tiled flooring. Radiator. Doors off to various rooms. Built in cupboard. Loft access. Double glazed window to the front enjoying lovely views . Built in wardrobes with mirrored doors. Built in storage cupboard. Radiator. Obscured double glazed window to the side. Suite comprises shower, wash hand basin and low level WC. Recessed spotlights. Heated towel rail. Extractor fan. Double glazed window to the front enjoying lovely views. Built in wardrobes with mirrored doors. Radiator. Obscured double glazed window to the rear. Suite comprising panelled bath, wash hand basin and low level WC. Recessed spotlights. Heated towel rail. Extractor fan. The property is approached by a driveway which gives access to the garage. There are gardens to the front and the main gardens lie to the rear of the property and are fully enclosed by fencing. These gardens are mainly laid to lawn.